Whatever Bernard says to Mum and Dad, the answer’s always the same. 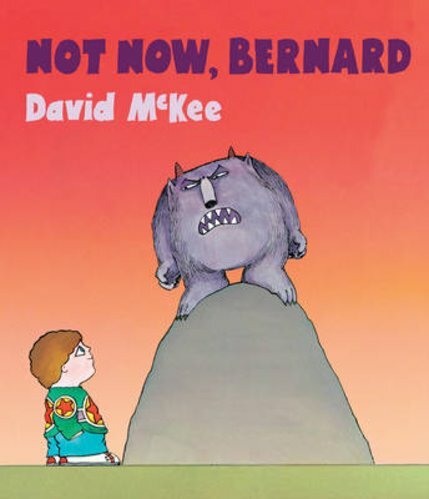 “Not now, Bernard!” So how can he tell them that there’s a hungry monster in the garden – and it wants to eat him up? It’s gobbled up his dinner. It’s broken all his toys. And now it’s coming after him! Bursting with imagination and comedy, this is the funny story of what happens when Bernard’s parents are just too busy to notice him!